Brennan Manning (Author): "The late musician Rich Mullins taught me an invaluable lesson about the true meaning of repentance. One rainy day he got into a blistering argument with his road manager, Gay Quisenberry. Angry words were hurled back and forth, and Rich stormed out the door. Early the following morning, Gay was awakened from a sound sleep by the loud buzz of a motor outside her house. Groggy, she looked out and saw Rich mowing her lawn!" Rich's musical influences from this time include: Peter Gabriel, Bruce Springsteen, Bruce Cockburn, Bob Dylan, Bruce Hornsby. Rich: "An awful lot of the other music I hear today bores me to tears." Rich writes the unreleased song "But For Your Flesh." Rich Mullins performs at Central Christian Church in Wichita, KS. Rich Mullins performs in Columbus, Ohio. at the Kings Place. Rich Mullins performs at Columbus Christian, H. S. in Columbus, OH. 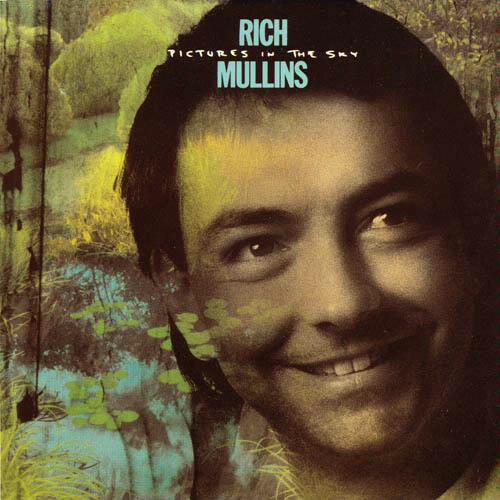 Rich Mullins second album, Pictures In The Sky is released on Reunion Records. Rich, on 'Verge of a Miracle': Well this was written because I do a lot of retreats I work with a lot of church groups and like that and just had talked to a kid who had attempted suicide. And I was thinking that that was a bad thing to do, but people don't do it for no reason. And I thought maybe I could reach out a little bit and say there is a reason not to maybe it would help them. The music was already written - I started the music at Hummingbird studio when we started the album and I worked a lot on it in Chicago when I was up there. This was like one of those that I was inspired just out of real compassion for someone." This track became Rich's first #1 single. Rich, on 'Pictures in the Sky': "My car broke down. I had to take it in for repairs and my friend Dave McCracken dropped me off and at the place and then left me... abandoned me... and gave me two tickets to Barbara Mandrel Country. And we took it to this garage right down on Broadway. Incidentally, I wrote this song at the exact same place that I wrote the song on my last album that was called 'These Days.' Pam Hall and I wrote. Anyway, so there I was on Broadway - on lower Broadway even. A really depressed area. And I was walking around and it was a real cloudy day and you know I thought it looks so much nicer up there than it does down here. So I walked up to Barbara Mandrel country with my free ticket and Dave was up there. And I said 'Hey, what do you think of this?' and I sang him a couple of lines and he really liked it, so I finished it." Rich, on 'Be With You': "I borrowed a friends of mines car and drove to my parent's house in Indiana and had to take his car back to him and he lives in Knoxville. In fact four of the songs on this album were written on my way Knoxville. This song - I was driving through the mountains thinking about what they would look like after the war - after the nuclear bomb. Because you figure it's inevitable. I mean there are enough idiots in office in enough Country's that it's bound to happen. I was really feeling angry because - I understand why people get killed, because people screw up things but trees don't screw anything up and mountains don't screw anything up. There are a lot of things out there in the world that are just beautiful and they exist for no reason except to just be beautiful and it's not fair that all of that should be destroyed. Should be ruined. And then, I realized well God's going to destroy it anyway. And it would be more fun for him to do it than for us to do it because He's going to do a better job of it. And then He's going to remake everything - make everything new without all of the defects that people brought into it. I just started praying 'and when you blast the cosmos to kingdom come' and then I went, Oh man I'm going to stop praying and now I'm going to write a song. And then I couldn't get it finished and I had to come back to Nashville. Another friend of mine that I really like Justin Peters who I think is a real good writer and I was playing it for him and he just kind of helped me finish this song up. He came in with some really key phrases that pulled it all together for us." Rich, on 'It Don't Do': "I just feel like there should be a difference in the way that Christians live and Pagans live. And I'm not so sure that people in the world can make that distinction because I'm not so sure that the leadership that we have in the Church are distinct. You know, they should be above reproach and all of that. And I'm not always sure that they are. I'm not always sure that I am. So, it's kind of like I was a little aggravated with myself because I'm going 'gee you know if you didn't get paid to do this would people still think you're a Christian? ' and I was kind of like 'well, you know I'm a nice guy.' But so are a lot of people." Rich, on 'Screen Door': "Yeah I wrote that song because I got a real bad hankering to do something I knew I shouldn't. And just in order to concentrate on something else to get my mind off of what it was that I wanted to do. Originally I set off to write a limerick, but it didn't work out as a limerick very well. But it did turn into as a nice song I think. I think the more of yourself that you involve in whatever you're doing when you're trying to distract yourself - the better. So I started singing. I was in my car. I was on my way to Knoxville. I was in Chattanooga of all places. Whatever in the world that I wanted to do that wasn't good I can't imagine wanting to do it in Chattanooga. Yeah I get real inspired by anger. And I shouldn't be so much. I enjoy it a little much. If I enjoyed it a little less then I would have more right to really be angry. Like I like what Chesterton says he says that the pessimist isn't bad because he criticizes the world but because he doesn't love what he criticizes. And I think - if I loved more, I would have more right to criticize. Most people who love more don't criticize as much because they're too busy trying to help things out than just being unconstructive." 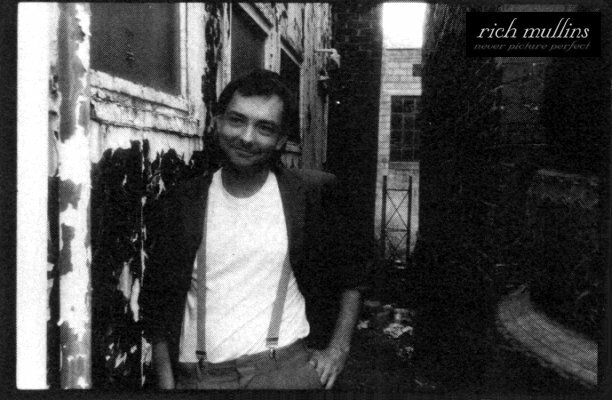 Rich Mullins performs in Decatur, GA.
Rich Mullins performs in Macon, GA.
Rich Mullins performs in Lincoln, IL. Rich Mullins performs at Living Word Church in South Holland, IL. Rich Mullins performs at Baptist Student Union at Vanderbilt College in Nashville, TN. Rich Mullins performs at Church of the Nazarene retreat in Nashville, TN. Rich Mullins performs at Missouri Christian Convention in Missouri. "Verge of A Miracle" debuts on the AC Charts. It would spend 16 weeks on the chart and peak at #1 on June 1st. 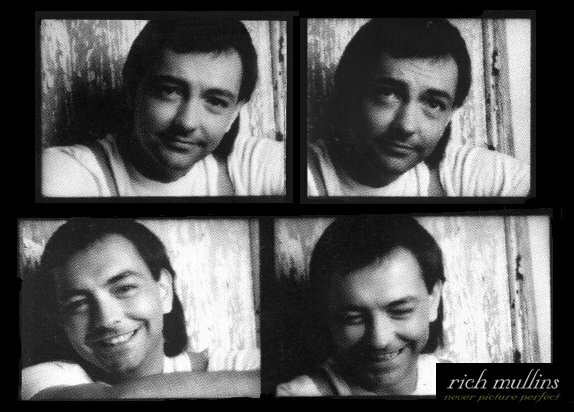 A short interview with Rich Mullins appears in CCM Magazine. CCM Magazine also reviews Rich's second album, Pictures in the Sky. Rich Mullins performs in Minneapolis, MN. Rich Mullins performs in St. Louis, MO. Rich Mullins performs at First Christian in Columbus, IN. Rich Mullins performs at the O'Hare Hilton in Chicago, IL. Rich Mullins performs at Milligan College in Johnson City, TN. Rich Mullins performs at Johnson Bible College in Knoxville, TN. 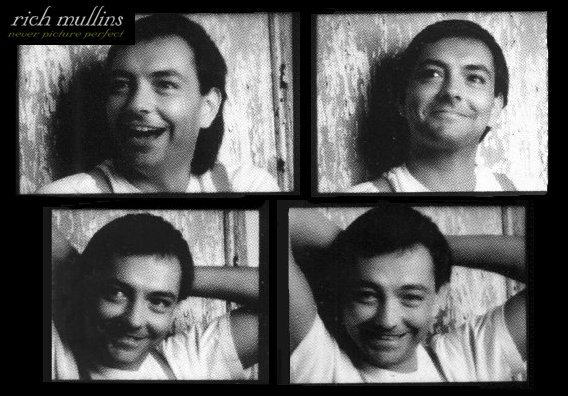 Rich Mullins performs at the Federal State Prison in Memphis, TN. Rich Mullins performs at a WEBA Benefit in Cincinnati, OH. Rich Mullins performs at Fellowship Christian Church in Cincinnati, OH. Rich Mullins performs in Allentown, PA.
Rich is interviewed by Tom Green and filmed performing several songs for the television program Light Music at the Cornerstone Television Studios in Wall, PA. Songs performed during the taping included "Verge of a Miracle," "Love of Another Kind," "Be With You," "For the Hatching of the Heart" (later retitled "Hatching of the Heart" and appearing on 1995's Brother's Keeper), an unknown instrumental on hammered dulcimer (with Steve Cudworth), "It Don't Do," (with Steve Cudworth) and "If I Stand" (Also with Steve Cudworth. This song would not appear on album until the following year's The Winds of Heaven, Stuff of Earth.) The songs and interview segments would be broadcast over two separate episodes. Rich Mullins performs in Long Island, NY. Rich Mullins performs in Hackettstown, NJ. Light Music airs the first segment of interview and performances with Rich Mullins and Steve Cudworth. Songs that aired in this first episode include "Verge of a Miracle," "Love of Another Kind," "Be With You," and "For the Hatching of the Heart" (later retitled "Hatching of the Heart" and appearing on 1995's Brother's Keeper). "Verge of A Miracle" hits #1 on the AC Charts. It spends a total of 16 weeks on the chart. Rich Mullins travels to Thailand. While there, he helps dig septic tanks and plant fruit trees. Rich Mullins travels back to Nashville, TN. Rich Mullins performs at Christ in Youth in Adrian, MI. Rich meets David Strasser (who became known to Rich's fans as Beaker) around this time. Rich was friends with Beaker's Youth Leader. Beaker was in the 7th grade at the time. The two would go on to be great friends, roommates and songwriting partners. While Beaker is probably best known for penning the song "Step By Step," the first song the two would write together would be "Boy Like Me, Man Like You." Beaker: "We formally met at a Christ in Youth conference in Adrian, Michigan, and hit it off really well. He asked me for my phone number, and called me when he came to Indiana. We talked about hiking the Appalachian Trail together. Anyway, I ended up being a roadie for him on the Winds of Heaven tour, and this retreat in Wichita, Kansas just kinda changed everything." Rich Mullins performs in Adrian, MI / Chicago, IL. "Screen Door" debuts on the AC Charts. It would spend 12 weeks on the chart and peak at #7. Rich Mullins and band perform at Christ in Youth in Joplin, MO. "Awesome God" is performed for the first time at this concert. Other songs performed include "Such a Time As This" (written in Missouri), "Save Me," "Live Right," "Praise to the Lord," and "I See You." (source: Video of the concert) and "If I Stand"
Steve Cudworth: " It was picked up somewhere between Tennessee and Missouri, in the cab of a sweaty little pickup truck, on the way to a concert. Rich told me that while he was driving, he envisioned an imaginary 'Hellfire and brimstone' preacher, waving his finger in the air, making proclamations about God to his congregation. Line by line, the man shouted out the phrases of 'Awesome God.' Rich committed those lines to memory until he got to the venue and found a piano to figure out what key to play it in. After he'd played it for me, Rich said in a small voice 'I think it's going to be big.' Rich then asked me if I would sing the verses and he assembled a small choir for the choruses . We rehearsed and performed 'Awesome God' for the first time that night. It amazes me how good Rich's intuition was about that song, as it continues to impact so many people." Rich: "I had about 1000 kids singing the chorus, and I was really knocked out. I knew I had done something right." Rich Mullins performs at the Christ in Youth Friday Celebration in Joplin, MO. "Awesome God" and "Heaven in His Eyes" (from the Zion days) are performed. Rich Mullins performs at Christ in Youth in Denver, CO. (CIY). 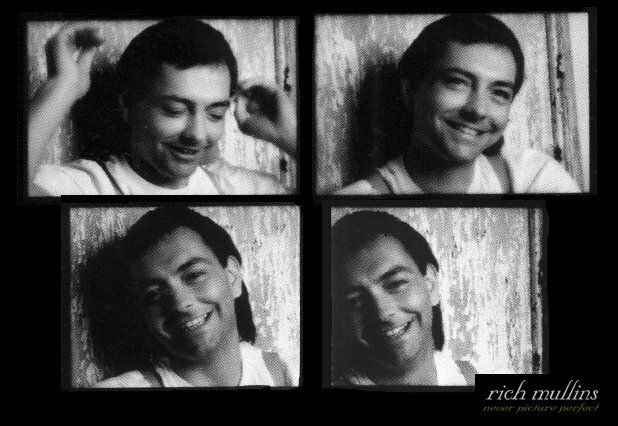 A short interview with Rich Mullins appears in calendar Magazine. 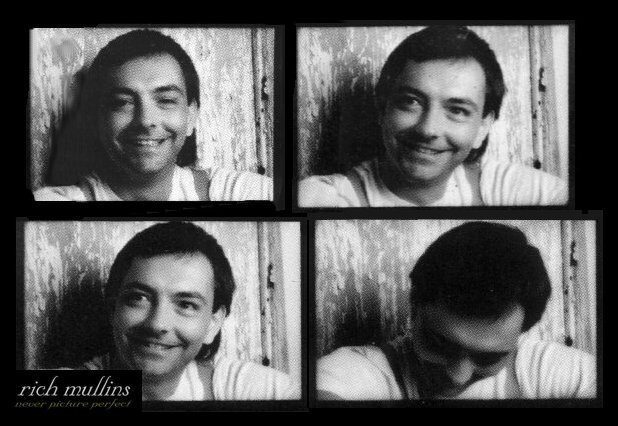 "An Honest To God Original"
Rich Mullins performs in Michigan. Rich Mullins performs in Boliver, MO. Rich Mullins performs in Rossville, IL. Rich mullins performs in Mancato, MN. Rich Mullins performs in Ft. Wayne, IN. Rich Mullins performs in Canton, OH. "Pictures in the Sky" debuts on the AC Charts. It would spend 14 weeks on the chart and peak at #2. Rich Mullins performs at Purdue University in Purdue, IN. Rich Mullins performs at Odeum in Chicago, IL. Rich Mullins performs at Greenville College in Greenville, IL. Rich Mullins performs in Kansas City, KS. Rich Mullins performs in Tyro, KS. Rich Mullins performs in Grand Rapids, MI. Eric Townsend: "So many people showed up to see the show that they couldn't all fit inside the church. Rich offered to do a second show for free so that everyone could see a concert." Rich Mullins performs in Bloomington, IL. Rich Mullins performs in Southbend, IN. Rich Mullins performs in Cincinatti, OH. Rich Mullins performs in Rapid City, SD. Rich Mullins performs in Spokane, WA. Rich Mullins performs in Seattle, WA. 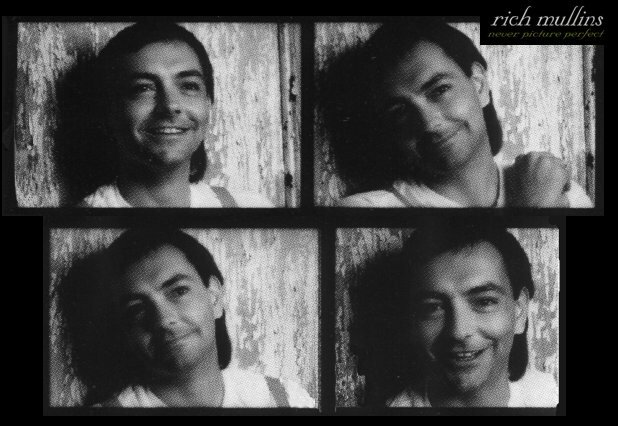 Rich Mullins performs in Vancouver, Canada. Rich Mullins performs in Everett, WA at Living Word Christian Center. Demos are recorded for Winds of Heaven, Stuff of Earth in Portland, OR. Rich Mullins performs in San Fransisco, CA. Rich Mullins performs in Fresno, CA. Rich Mullins performs in Los Angelos, CA. Rich Mullins performs in San Bernadino, CA. Rich Mullins performs in San Diego, CA. Rich Mullins performs in Phoenix, AZ. Rich Mullins performs in Albequirque, NM. Rich Mullins performs in Amarillo, TX. Rich Mullins performs in Little Rock, AR. Rich Mullins writes "Home," which would end up on his next album. Rich Mullins performs at (Broad Street Methodist). Rich Mullins performs in Kingsport, TN. Rich Mullins, and Kim Boyce perform a New Years Eve show in Columbus, OH at the Kings Place.